Completed on-site in July 2013 the state-of-the-art Teenage Young Adult Unit at Southampton General Hospital have now been opened, to better meet the needs of young cancer patients. This ten bedded unit will enable young cancer patients aged 16 to 24 living in Hampshire, Dorset, the Channel Islands, South Wiltshire, Isle of Wight and parts of West Sussex, to be treated for the first time with others their own age in an environment suited to their needs. 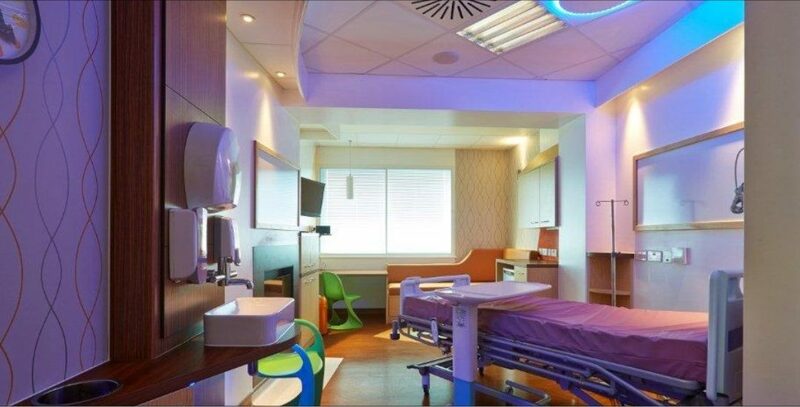 So that the particular needs of teenagers and young adults are met, a group of former and current young cancer patients are working with the Design Team to advise on the design and colour themes and also what furniture and entertainment equipment should be included within the scheme.